The first steeping of Light Steamed Organic Sencha offers a full-bodied, but not strong, flavorful green tea. It has medium astringency without being bitter and a slightly grassy taste. As the liquid cools the astringency lessens considerably and the flavor becomes mild. The second brew yields a very pleasant and mild sweetness and earthiness. 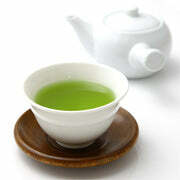 Those who enjoy a little bolder tasting Japanese green tea will be pleased. 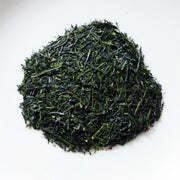 Light Steamed Organic Sencha has been produced according to the strict guidelines of the JAS (Japan Agricultural Standard) and is certified organic.